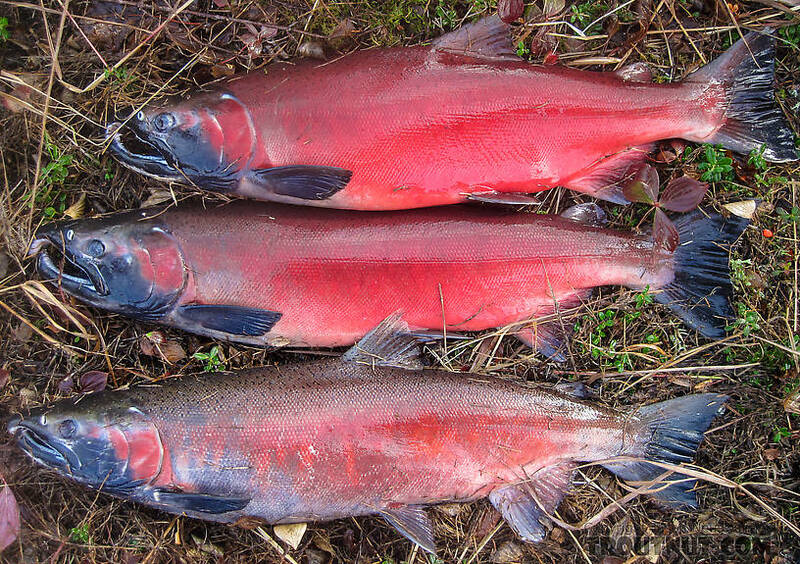 There are some very late-season Coho (aka silver) salmon runs in interior Alaska. 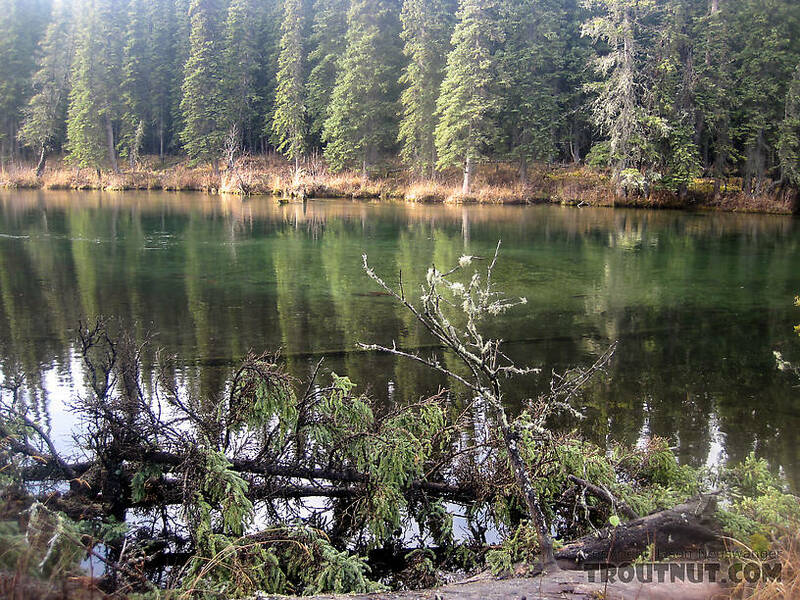 I've never found the time to fish them before, because it's often below freezing by the time the fish arrive, and few spots are accessible by foot. This year has been unseasonably warm, so a couple friends with a boat invited me to join them on the most well-known of these rivers. 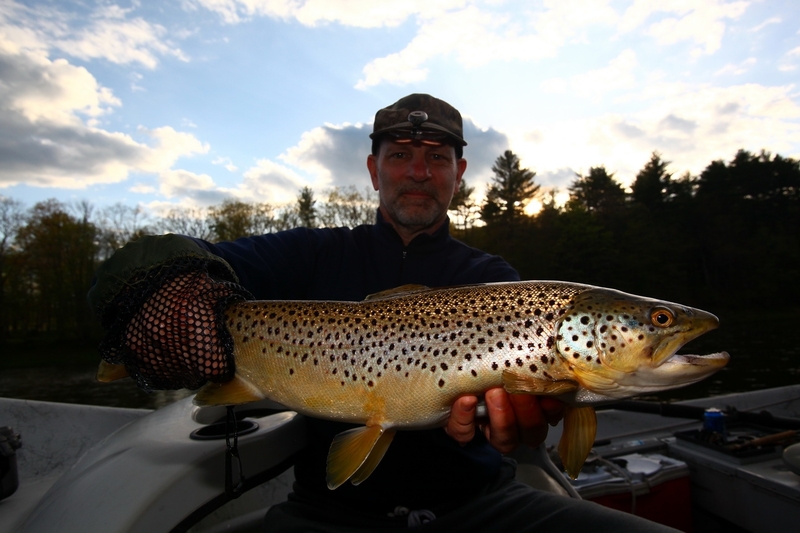 We found a few good spots where the fish were aggressive, and caught them until our arms were tired. Almost a thousand miles upriver from the Bering Sea, these fish might not have fought as hard as they would fresh from the ocean, but they still had plenty of energy left to perform some impressive runs and acrobatics. I kept my limit of cohos and gave them to a friend to smoke, since my freezer is full of sockeye already. 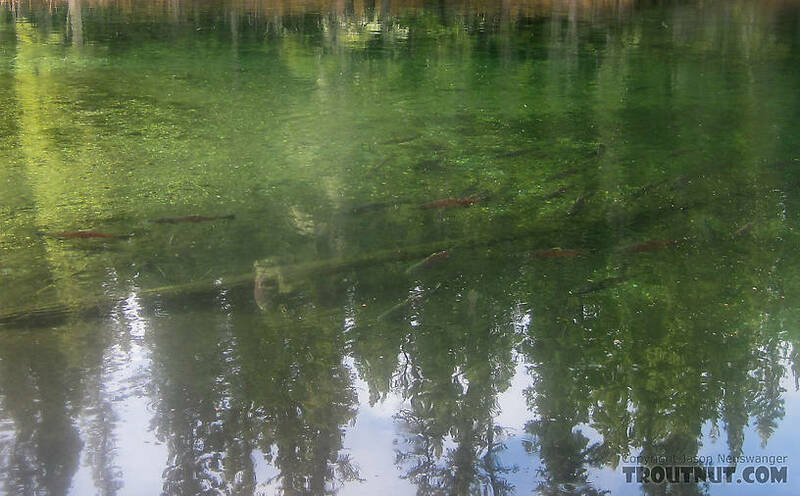 It's nice fishing for salmon in such clear water, and really fun when they're as aggressive about chasing the fly as these fish were. 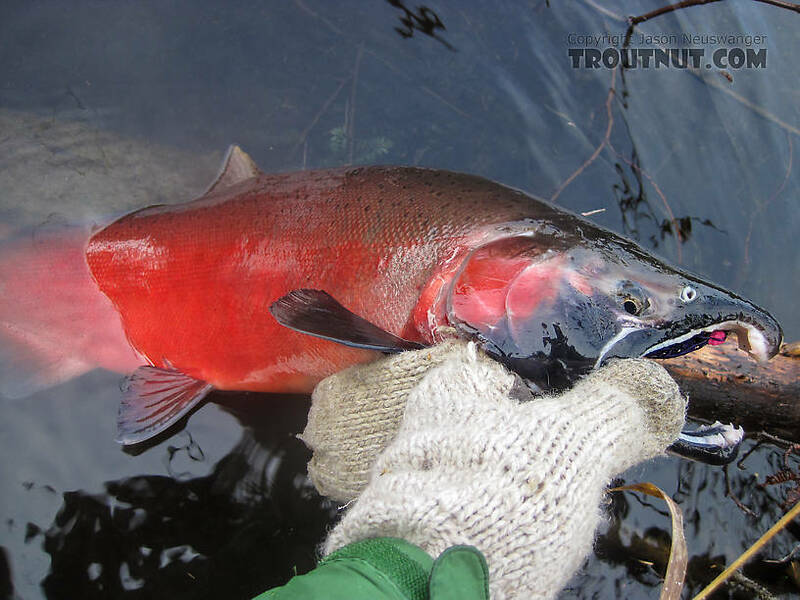 This pretty male Coho salmon took a purple egg-sucking leech. Posts: 2468 Agreed! I was also leery but took a chance since I got some really good virus protection software and enjoyed some of the videos. Posts: 2871 Cheers back at you. Troutnuts, I always wonder when I see a post like Afn2012's above, but following a few links on the AFN website I found this fun video. Scroll to the bottom of the page. Posts: 1 Wow! Great fishing with salmon. Thanks for sharing this info, very interesting to read. Posts: 1 Way cool website! 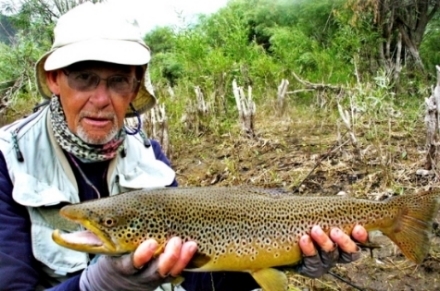 I haven't seen anything like it in the fly fishing arena. Thanks for all the hard work in bringing all of this to life..literally to life. Posts: 1197 I'm so jealous of all these places and wildlife you get to experience, Jason. What a fantastic place to live. I'm glad to see you're taking advantage of the many opportunities for sport. Inspiring stuff. Makes me feel so... suburban.